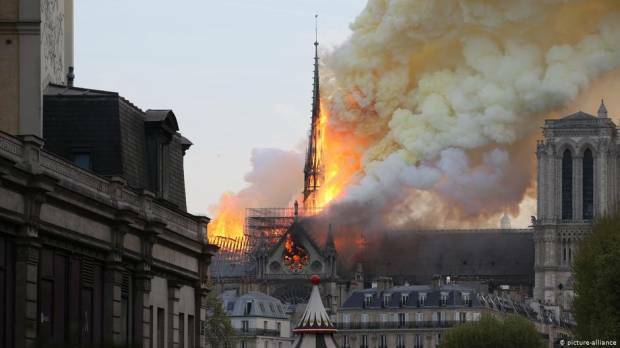 A blaze engulfed parts of Paris’ iconic Notre Dame Cathedral on Monday, toppling its spire and causing extensive and visible damage to one of the capital’s oldest buildings. The cathedral was undergoing renovation work, which local media cited as one potential cause for the fire. The spire collapsed roughly half an hour after the fire began, with part of the roof soon following. Authorities said the fire spread to one of the cathedral’s two towers. Emergency services are still working to contain the fire. French and world leaders responded with shock and dismay.